Featuring much of the cast from The Original Series, Star Trek: The Animated Series ran for two seasons and won Star Trek's first Emmy Award. 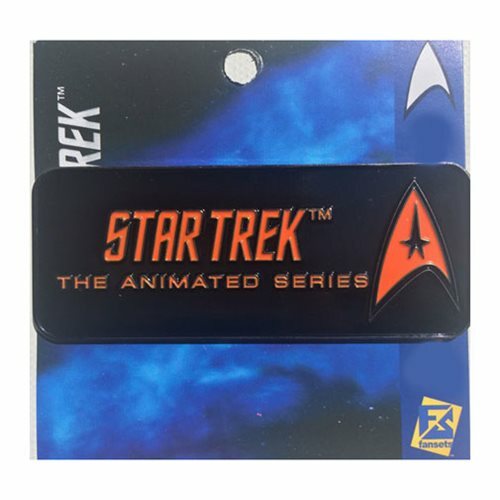 This Star Trek Animated series' logo Pin displays the series' logo on a sleek black background. Show you're a fan of the series by displaying it on your clothes, bags, or in your collection. The pin measures about 3-inches long x 1 1/4-inches tall.